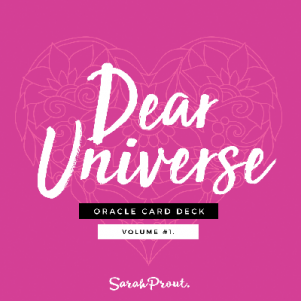 This beautifully designed 55-card oracle deck by Sarah Prout will provide you with a mystical dose of inspiration for your soul. 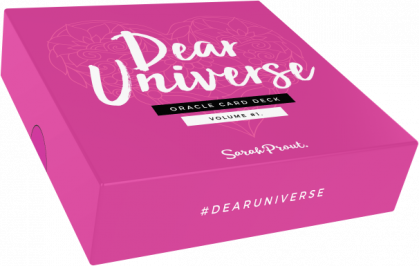 By popular demand, and millions of shares, 'likes' and comments on Facebook, this is the very first volume of printed ‘Dear Universe’ 55-card oracle cards. 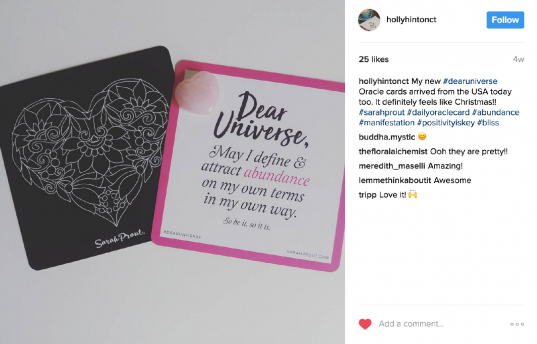 Remember: The Law of Attraction assures you choose the right card as a form of Divine guidance for your manifesting journey. Therefore, you're always on the right path. 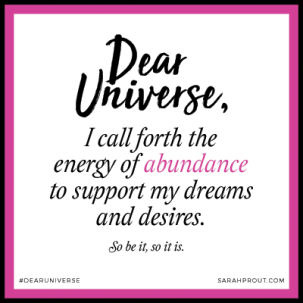 Best Selling Author, Manifesting Expert and Creator of the Dear Universe oracle card deck. 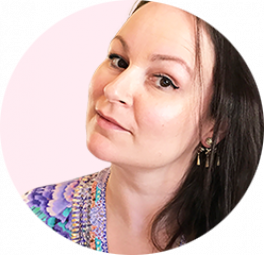 The more you focus on strengthening your intuition, the clearer and stronger the messages start to show up from the Universe into your current reality. Limited Quantity Available: Order NOW! 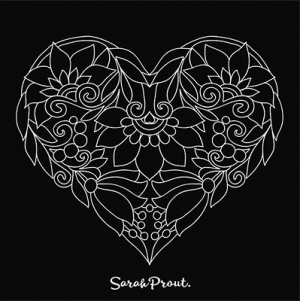 These beautiful cards make excellent gifts too! I promise you, the 'Dear Universe' oracle deck will act as an incredibly useful resource for your spiritual toolbox. 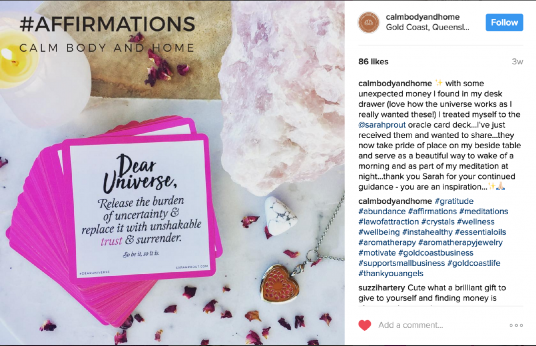 They'll make perfect soulful additions to your altar or nightstand and look stunning in your #DearUniverse social media photos. A. You can expect to receive your cards within 2 weeks of placing your order. A. 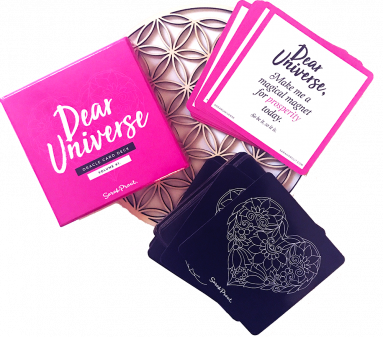 The Dear Universe oracle deck has been designed to strengthen your intuition and your connection to the Universe. 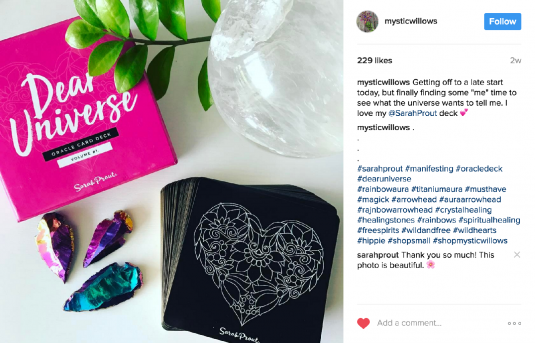 This set is devoted to opening your heart and mind to all possibilities and calling forth the energy of ABUNDANCE, wellness, gratitude, love and connection into all areas of your life. A. That's totally up to the success of the first limited print run. If they sell like hotcakes we'll be adding more volumes and products to the line in 2017.